The subject of sleep (or better yet, non-sleep) has been on my mind this week. We women juggle family, career, faith, volunteer work, and relationships, often neglecting our basic needs. In addition to diet and exercise, sleep is a pillar of wellness. We often overlook the value of a good night’s sleep given the fast paced, electronically driven world we live in. Before the age of electricity, people went to sleep at dusk and rose at sunrise. Not only do we have artificial light keeping us awake, but we have every electronic gadget imaginable at our bedside, beeping, vibrating, and entertaining us. Even when we are awake this can be maddening. Women need between 8-9 hours of restorative sleep each night. With less than 6 hours of sleep, we have an increased risk for infection, arthritis, obesity, cancer, mood disorders, Alzheimer’s, and insulin resistance. 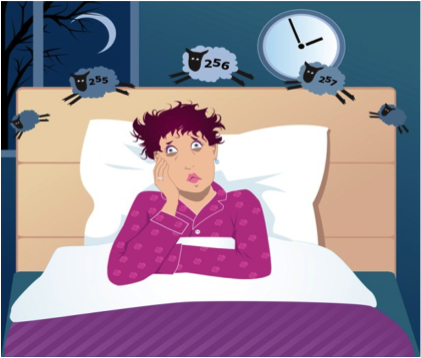 While a lack of sleep can be influenced by many factors, there are a few simple steps you can take to insure a good night’s sleep. • Limit beverages and food several hours before bedtime. • Keep the pets out of your bedroom! • Keep your bedroom cool during both winter and summer. • Turn the computer and TV off at least an hour before bed. • Take a warm bath. Add lavender oil for extra relaxation and pampering. • Diffuse lavender oil during the night. • Get some sun in the daytime -The secret of a good night’s sleep is a good days waking and a non-inflammatory life style. Jenny Crabtree is a RN and Certified Integrative Nutrition Health Coach. Her passion is to assist women achieve ultimate health through nutrition, diet, and lifestyle changes. Thanks Jenny, this is great.